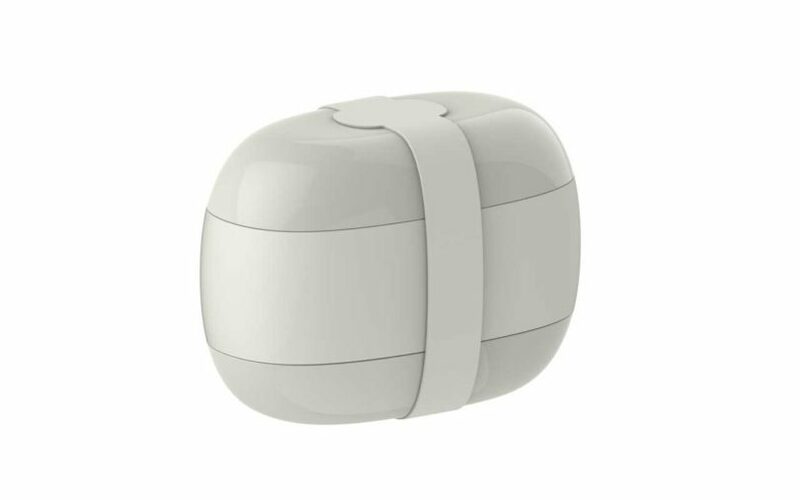 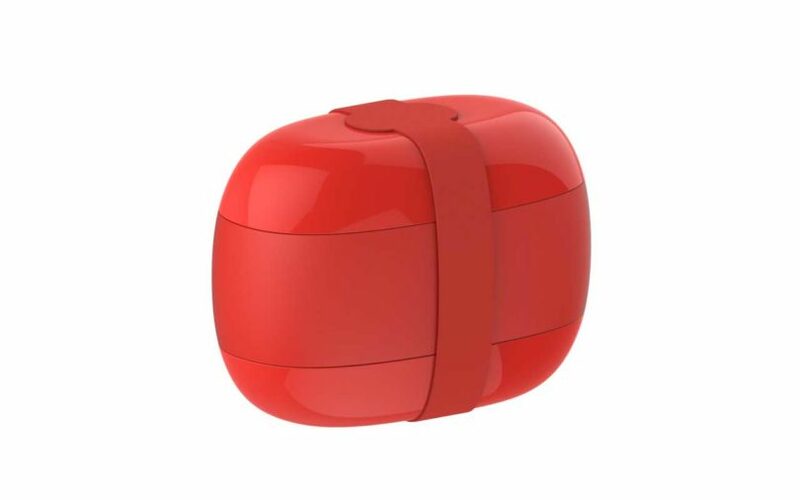 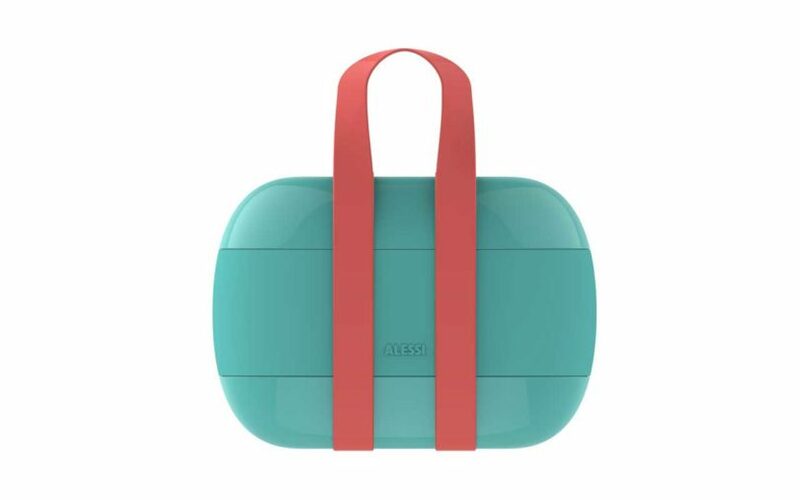 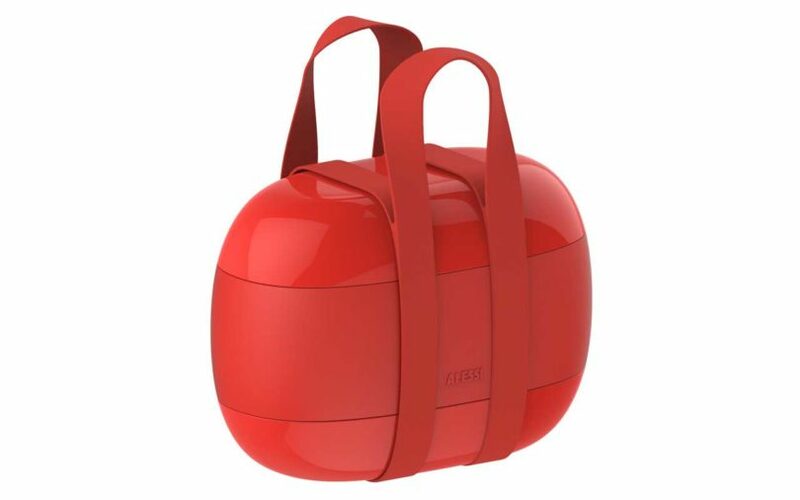 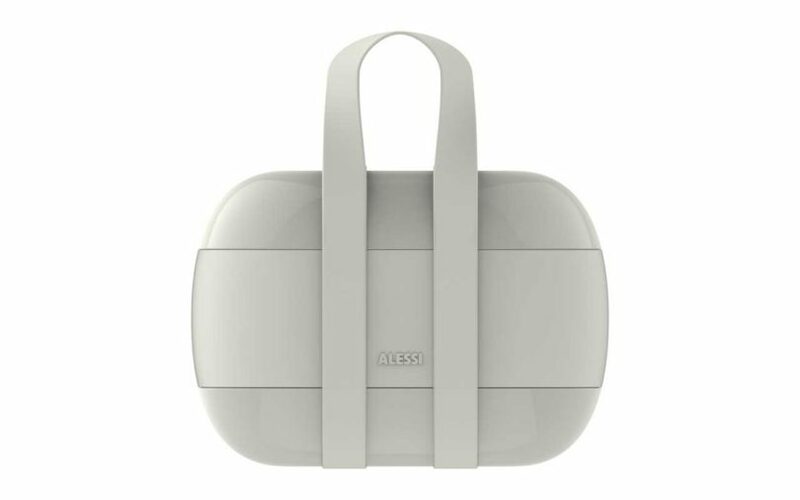 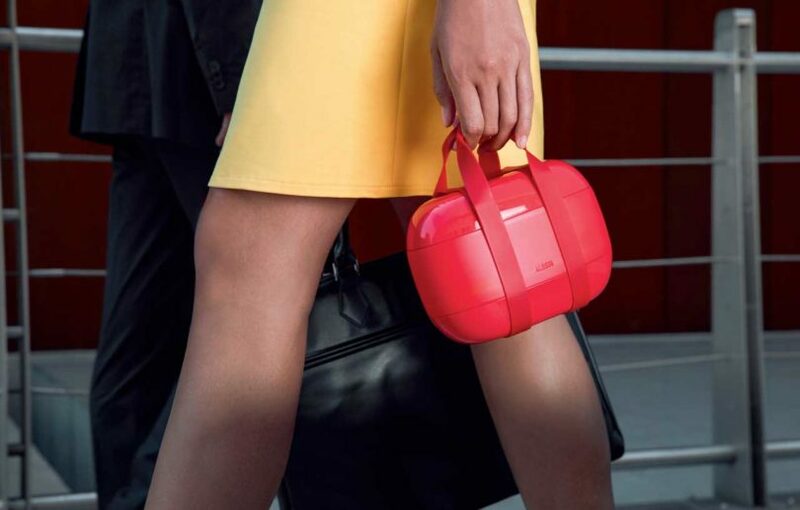 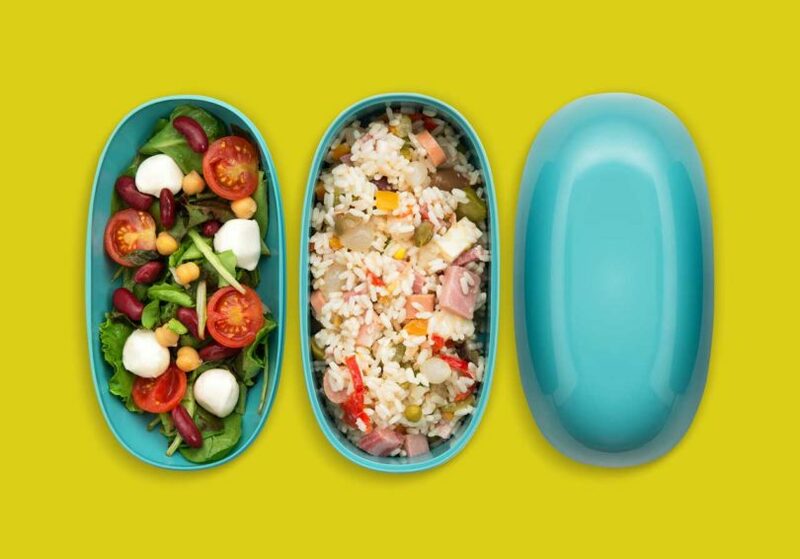 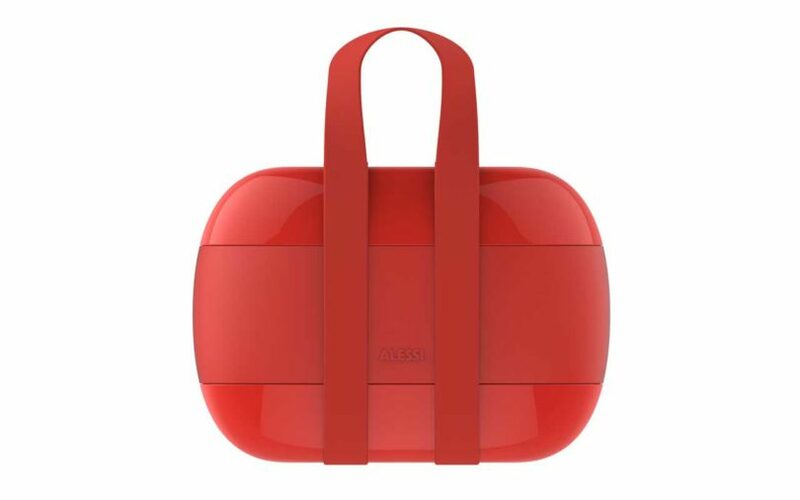 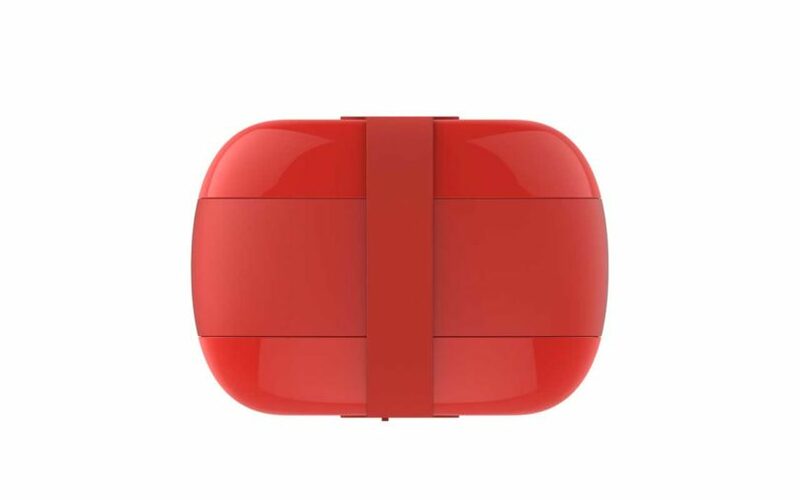 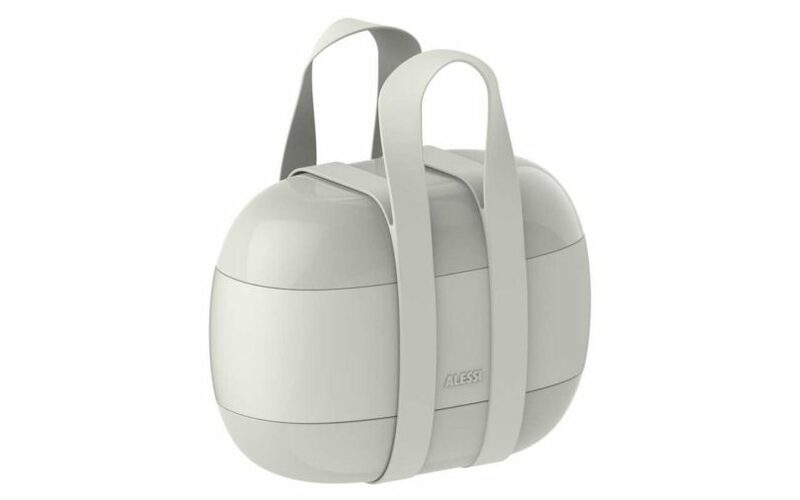 Alessi is adding a fun new product into their already covetable line of design-focused goods – the Food à Porter – a stylish lunchbox created by Japanese designer Sakura Adachi. 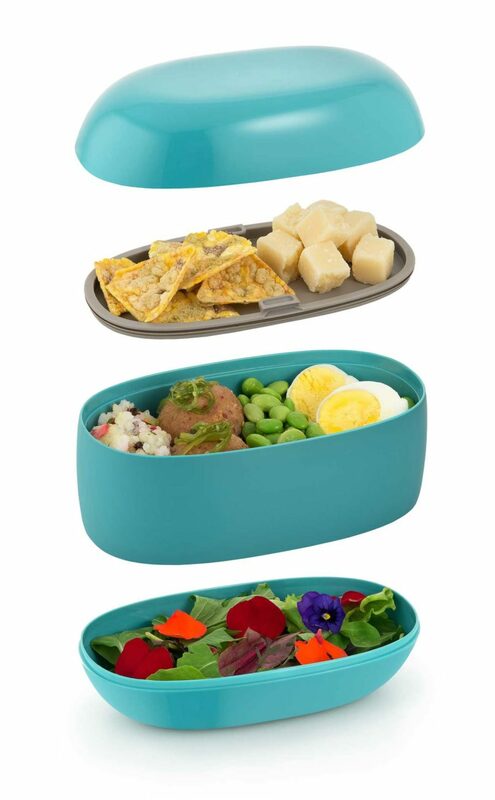 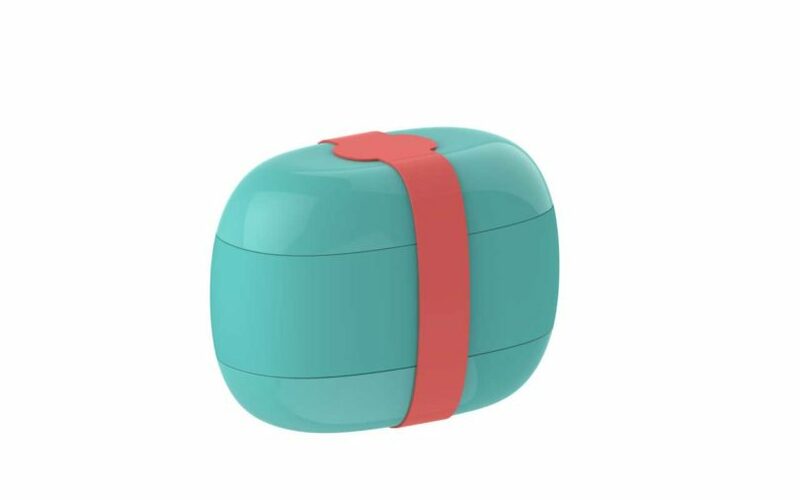 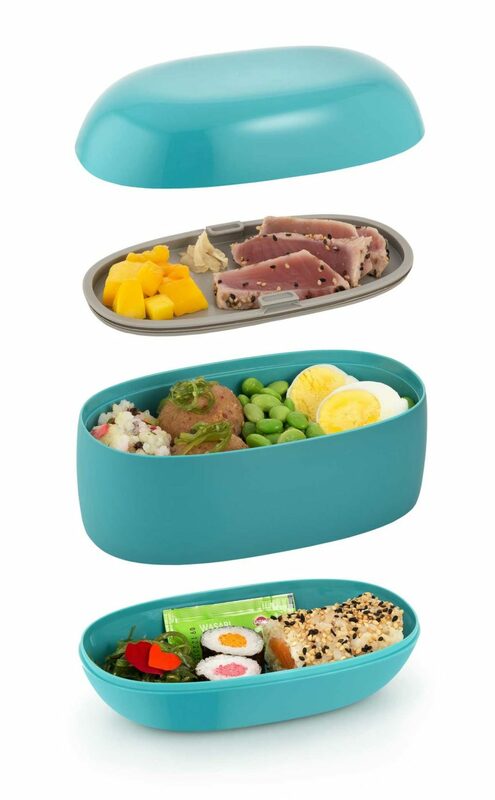 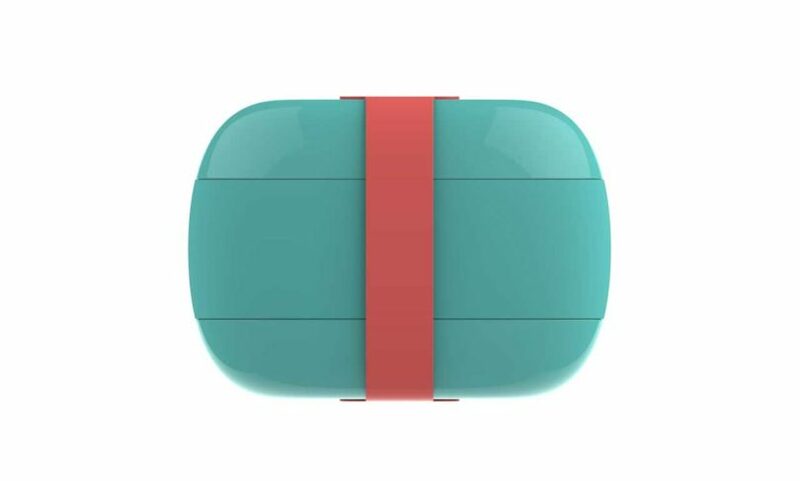 The rounded, colorful design gives nod to traditional Japanese bento boxes making it the perfect midday meal carrier for those on the go or anyone who carries their lunch to school or work. 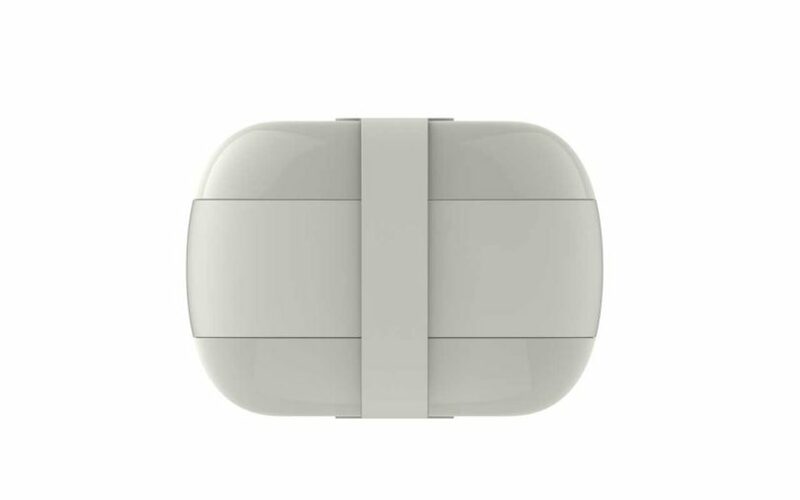 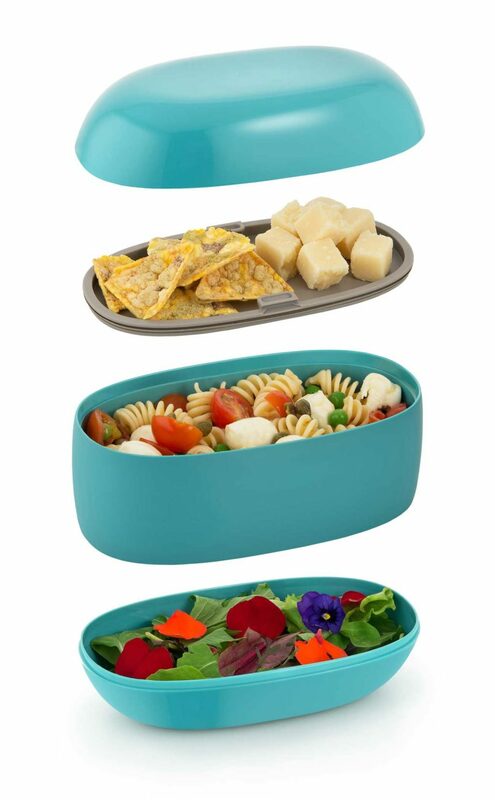 Its lightweight design features three separate containers, two with sealable lids, that keep food fresh and protected until you’re ready to eat. 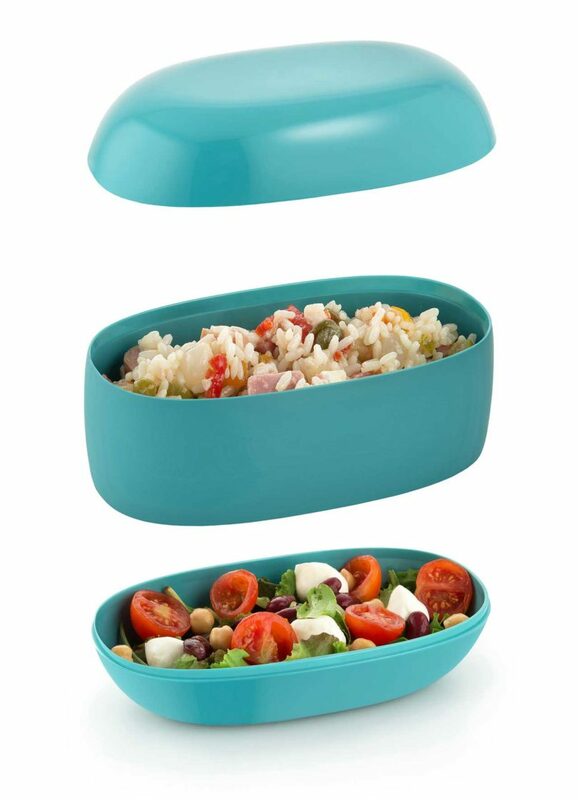 When the meal is prepped in each container, simply stack them and wrap with one of two silicone bands, one of which turns it into a playful tote. 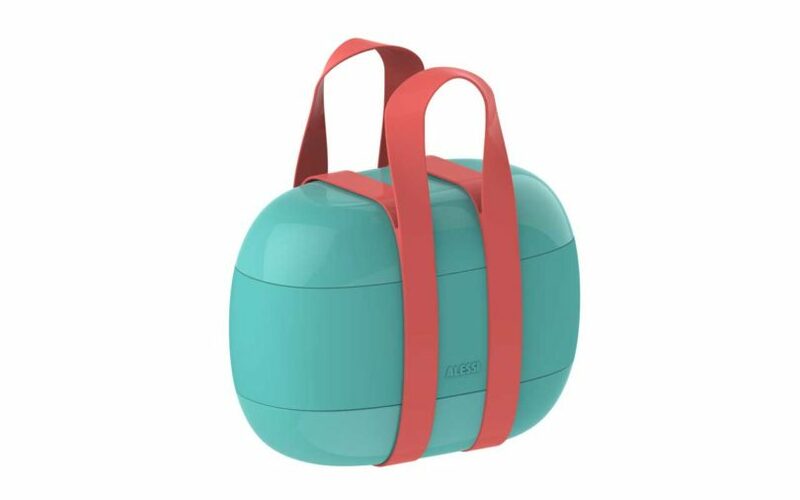 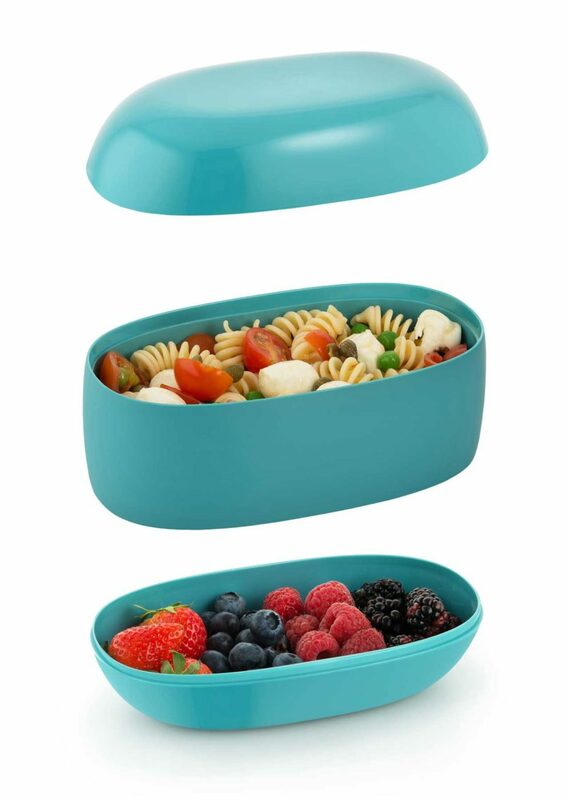 The lacquered Food à Porter available in three colors – light blue with a pink band, red on red, and light grey on light grey – with alternating glossy and opaque sections.